Sleeping bags are one thing, but finding one especially designed to suit sleeping in a hammock can be a difficult and frustrating task! 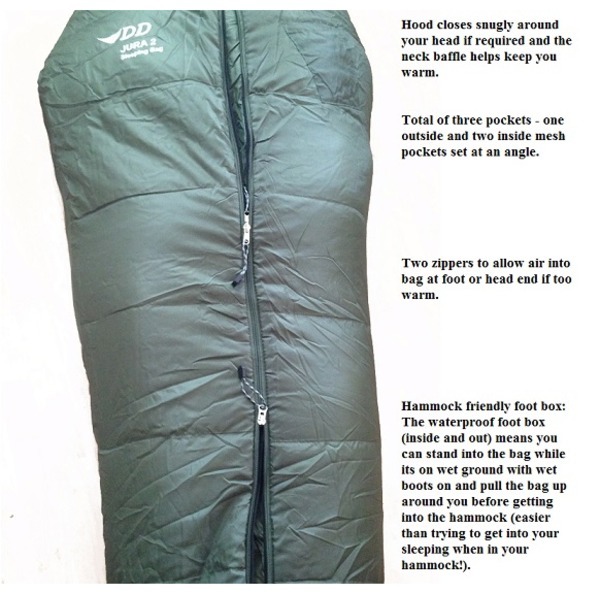 Well, the guys and a girls at DD Hammocks have come up with a solution to this common problem and designed a sleeping bag to suit hammock sleeping. 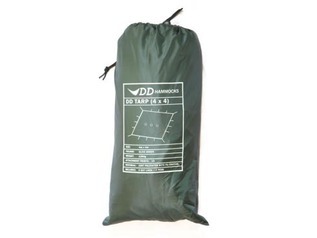 Introducing, the DD hammock friendly sleeping bag, the DD Jura 2. Available in Regular or XL. As many of you know, getting into your sleeping bag whilst inside your hammock is often a difficult task, with lots of wriggling about! 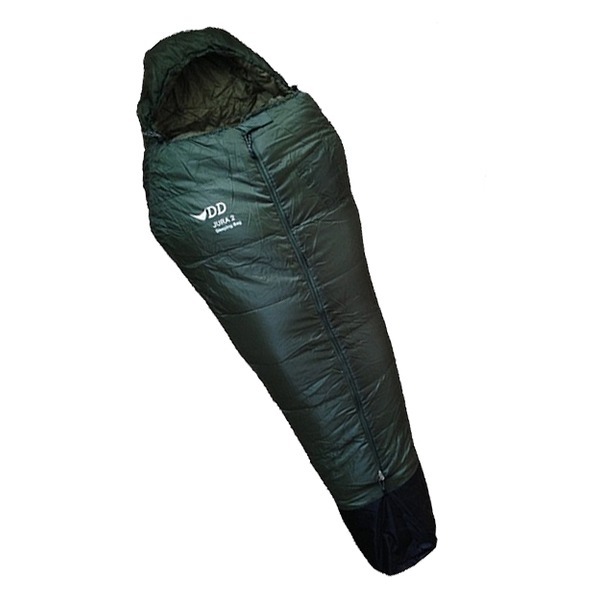 The idea behind the new DD Jura 2 is that you can step into your bag beside your hammock and then pull it up around you with your arms outside of it, and then sit down into your hammock already inside your warm sleeping bag! The DD Jura 2 is comfortable down to -5 degrees C, a good choice for sleeping in Britain and similar climates. The waterproof footbox allows you to step inside of your sleeping bag on wet ground beside your hammock before pulling it up around you and sitting down into your hammock. 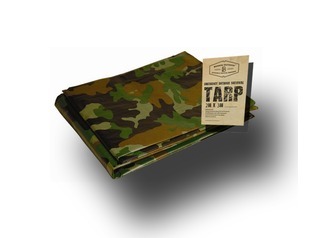 The DD-designed waterproof footbox is also waterproof inside which allows you to stand in your bag with wet/ damp boots on if needed, this is particularly useful for military use, or wildlife photographers who may need to exit the hammock and sleeping bag quickly. 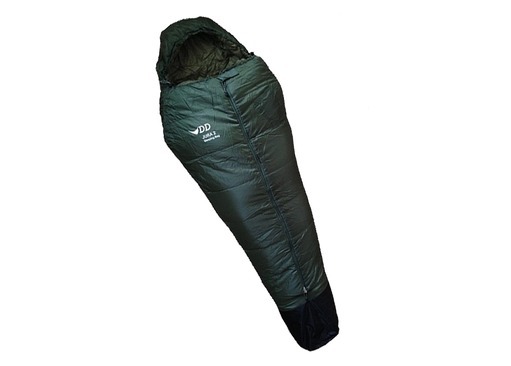 Makes getting in and out of the sleeping bag much easier than standard zip systems, which are usually located to the side of the bag, making them difficult to operate whilst cocooned within a hammock. The Jura 2 has two internal mesh pockets which are set at an angle so your equipment won't fall out easily. There's also a third pocket on the outside which is a useful addition. Adjustable hood that can close snugly around you if needed. 2 zippers allow air into the bag at either end if too warm. Height = comfy for people up to 6ft 2" or 188cm. OR XL Version 6ft 5" or 200cm. Chest size = comfy up to 44" or 112cm chest. 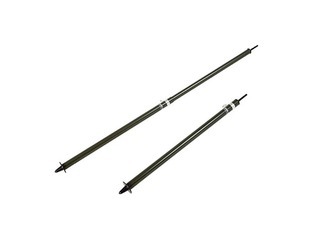 OR XL Version up to 49" or 127cm chest. Shoe size = max 11 UK (46 EU and 11.5 USA) if wearing boots inside bag. OR XL Version max 13 UK (48 EU and 13.5 USA) if wearing boots inside bag. 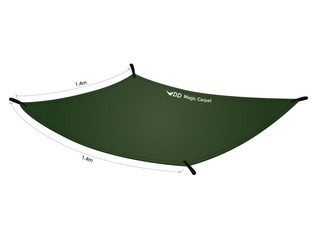 Rating: Comfortable down to -5 degrees C.
"This is an amazing addition to any hammock set up. 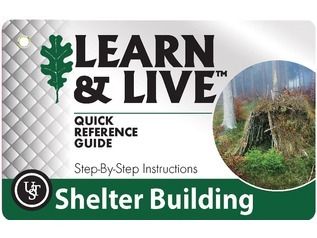 I have used mine in every season with the exception of summer. It didn't fill me with confidence when it arrived if I'm honest. But my doubts were quickly proved otherwise. It's a lightweight quilt that can simply be thrown over you in your bag. Or you can attach poppers at feet end to keep it around you. Which I usually do and pull it up over my face to keep me toasty. My sleeping bag is only 3 season sleeper. And I haven't had to upgrade to a winter bag since buying this and the underblanket. Great product"